Salty Escapes is a local full-service, professional property management company offering vacation rental and non-rental services, premium rental accommodations, specialized real estate services, world-class charter fishing and fully customized concierge services. Family-owned, locally based, and 100% committed to exceptional owner and guest experiences. 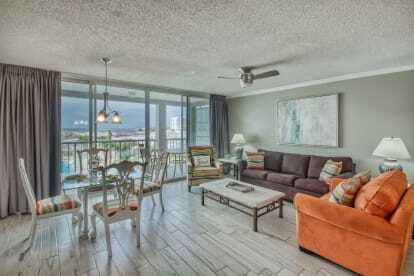 Salty Escapes is proud to offer accommodations and services along the Emerald Coast including Okaloosa Island, Destin, Miramar Beach and 30A communities such as Blue Mountain Beach, Grayton Beach, Seaside, WaterColor, Seagrove, Alys Beach, Seacrest and Rosemary Beach. Salty Escapes has your salty boutique vacation experience waiting for you! Our mission? For owners to trust that we know every nook and cranny of their cherished investment by maximizing their rental revenue and providing the best property care on the market. 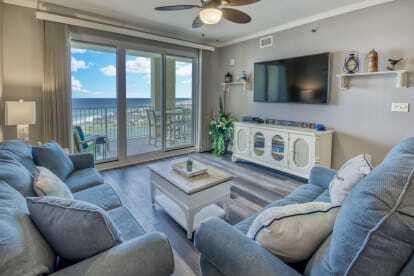 And for guests to come to us year after year for the best accommodations and service along the Emerald Coast—plus extras, too, from chartered fishing trips and grocery delivery to childcare services. We believe vacations should be more than just a break from everyday life. Take yourself on a Salty Escape from the norm. From beginning to end, we want to make sure each vacation we help create is filled with cherished memories that will last a lifetime. Our team is here to create lasting memories for an unforgettable Emerald Coast getaway! Lauren Teems was born and raised on the Emerald Coast, and is one of the areas biggest fans. Growing up in one of the most beautiful destinations in the world, a common question from traveling guests of our area has always been "Where do you go on vacation when you live in Destin?!" (insert sarcasm). While we take full advantage of the abundant beauty and the eco-rich activities the Emerald Coast has to offer, our family is always looking for the next adventure! She brings to Salty Escapes not only her hospitality background, but also a Florida Real Estate License and over a decade of invaluable experience working specifically in commercial and vacation rental property management. This allows her to share expertise with every aspect of vacation rental ownership, from purchasing or selling your property to turning it into a profitable investment. Lauren's passion for service excellence is quickly noticed through each and every interaction. With over two decades of customer service experience, her humble and professional personality, strong ethical values and love for hospitality, are among many traits that build lasting relationships with owners, guests and vendors alike. If you are looking for a trusted, local business, Salty Escapes is here to provide you with exceptional hospitality expertise.